Diablo Rosso Presents – We’re So Very Miami! Panamá, four hours south of Miami as the plane flies, is the new “Hub of the Americas”: a global link for world commerce, a city proud of its rapid economic growth and booming construction industry, and a popular destination for residential tourism (mainly for American retirees). Panama City has always looked up to Miami, but the Miami it aspired to become is the Miami of fantasies, that mysterious place in the United States somewhere near Disney World where your aunt lived, where your wealthy friends went shopping, where the best Carnaval in the world happened (because it’s the Capital of Latin America), the city of Miami Vice that Gloria Estefan calls home, and a place so nice it had a type of window named after it. Therefore, we really have no trouble when we’re told (derisively) that our city looks just like Miami. 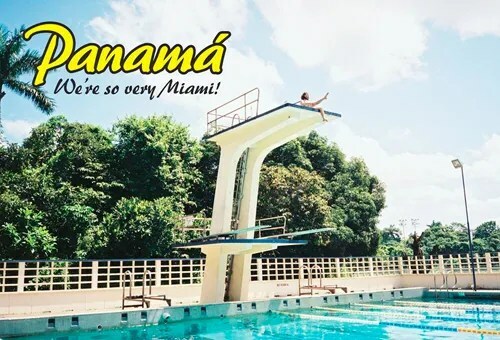 The real Miami, on the other hand, has been the proud bearer of epithets like “the magic city” ever since being conceived by Julia Tuttle, and remains a fertile fount of stereotypes that still inform our tropical glamorous Latin American identities. 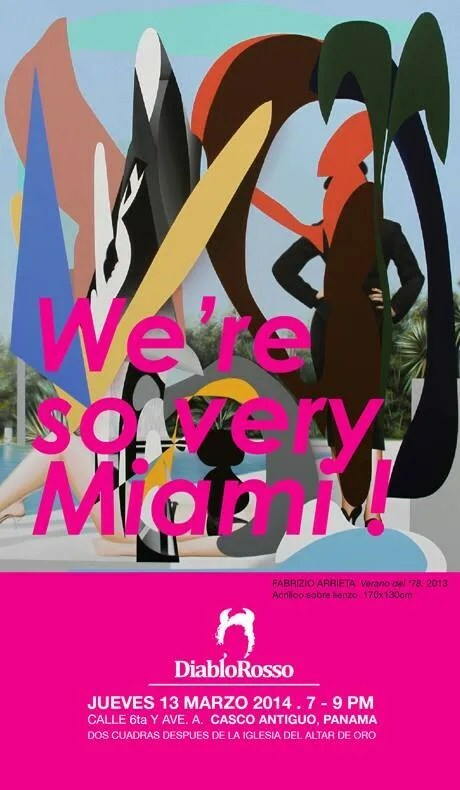 We are so very Miami is an exhibition curated for UNTITLED. Its purpose is to explore the links between Miami and Panama City and showcase their parallel histories, imaginary or otherwise. Panama, four hours south of Miami as the plane flies, is the new “Hub of the Americas”: a global link for world commerce, a city proud of its rapid economic growth and booming construction industry, and a popular destination for residential tourism (mainly for American retirees). ¿Does any of this sound familiar? that our city looks just like Miami. We must be doing something right. This may not be the only city that aspires at becoming Miami—and it’s always Miami, never New York—but in our hearts and minds it’s the one that’s gotten the closest.